Laminam presents a preview of In-Side – Pietra Piasentina Taupe, which defines as extracted from the earth, technologically carved. In-Side is the first series of ceramic slabs by Laminam offering material continuity between body and surface. 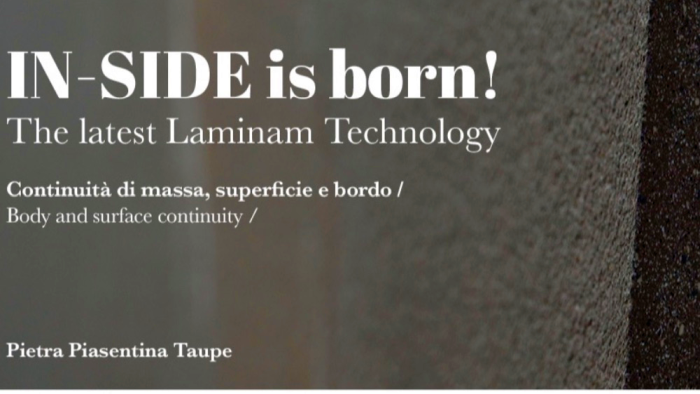 10.04.2019 Laminam presents In-Side in a preview at the Salone del Mobile.Milano with the Pietra Piasentina Taupe product. Natural raw materials, purified by water, are given a new lease of life in the form of a hard-wearing surface, which stretches up to 1.620 x 3.240 mm with the appearance of genuine natural stone. The new Laminam finish – starring at the Salone del Mobile.Milano, Hall 22 Booth E37-E41, and at the Fuorisalone collateral event, with a powerful Japanese-inspired setting – launches In-Side, an absolute technological first for the large ceramic slabs industry. The new Laminam finish that reproduces the styling and durability of Pietra Piasentina stone connects in an invisible thread the Salone del Mobile.Milano to the Showroom in Via Verdi 5, where the very same material stars in a set-up where all that is essential is clearly visible. Pietra Piasentina draws its inspiration from the Japanese contemplative practice of Suiseki– stone crafted by water. The new product by Laminam constitutes an absolute novelty amid ceramic slab manufacturers from a technological perspective too, further confirming the brand’s innovative spirit, which is always open to new paths to follow. With In-Side – Pietra Piasentina Taupe colour, Laminam confirms its leadership in technological innovation and supplements its range of products, offering the global market ceramic slabs with material continuity between body and surface. In addition to the superior technical performance levels, which are far above those of materials more commonly used for horizontal surfaces, the new In-Side product further accommodates the styling requirements of the world of furnishings, thanks to the uniform aesthetic styling between body and surface, even after the necessary processing to achieve the finished product (cutting, drilling, chamfering). In-Side is based on the mixture of natural raw materials with variable grain size which results in a textured blend, typical of natural stones. 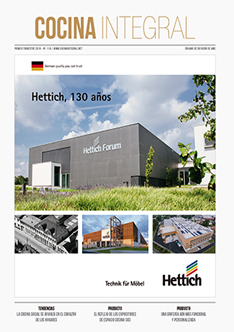 Extraordinary hardness, exceptional resistance, exhaustive versatility: the range of 20 mm thick full size products has been extended to accommodate all design requirements, intended for both the world of furnishings and architecture. Together with Bianco Assoluto, the product range in 20 mm thickness,1.620 x 3.240 mm size has been extended.